A follow-up to Josi S. Kilpack's bestselling Proper Romance title The Vicar's Daughter. Lenora Wilton has spent her life hiding behind the keys of her beloved pianoforte and the vibrancy of her younger sister, Cassie. But Lenora is ready for a change and travels to Bath to live with her Aunt Gwen and teach music at an all-girls’ boarding school. She is different in Bath—more comfortable with herself—and enjoys the freedom and independence of her new life there. When Lenora meets Aiden Asher, she finds herself attracted to him, but her unexpected feelings become more complicated when she learns that Catherine—Lenora’s newest and most troublesome student in the school—is Mr. Asher’s niece. Catherine is a difficult student, and Lenora works hard to make progress with the girl. When the chemistry between Lenora and Aiden increases, they share a passionate kiss by the River Avon, and Lenora feels it is the beginning of a new forever—until she learns that Aiden has withheld an important detail about his life that changes everything. Lenora closes her heart to him, and Aiden, caught between his obligation and his heart, must do what he can to make amends. And Lenora, after years of hiding from everyone and everything, faces a decision only she can make. She gave him a grateful nod—without a smile so as not to seem too grateful—then climbed ungracefully over the wall and moved down the stairs. At the riverbank, she brushed off the stone wall with the sleeve of her coat and took up her usual position of knees to chest and chin on knees. She stared at the water that glittered with the quarter moon as she’d known it would. She tried to review the last week and make a plan for how she would deal with Miss Manch in the coming one, but the man at the top of the stairs kept invading her thoughts. If she thought about him enough, would she understand why he cared so much about a niece who was so difficult? And was he becoming more handsome each time she saw him, or was that simply a trick of her imagination? "I know fellow book lovers will understand when I say that I fell in love with the characters of this book. There's something about watching a character who is good and loving, who sacrifices for the good of her family, who doesn't complain or argue, finally find her voice and do something that she loves and wants." "Although the cover is adorable, I was not prepared for what a delightful read this book was! This is the first book that I have read by this author, and it won’t be the last." Josi S. Kilpack hated to read until her mother handed her a copy of The Witch of Blackbird Pond when she was 13. From that day forward, she read everything she could get her hands on and credits her writing “education” to the many novels she has “studied” since then. She began writing her first novel in 1998 and has written twenty-five novels, one cookbook, and been part of multiple collaborations since then. She is a four-time Whitney Award winner and Best of State winner in Fiction. Josi currently lives in Willard, Utah, with her husband and children. When Kensington Press picked up her first national women's fiction novel, As Wide as the Sky, Josi was in need of a pen name to differentiate between her other genres. For years, Josi has been called Jessica Pack by people who hear her name but don't know her. It made her new pen name easy to choose. As Wide as the Sky will be released in paperback in 2018. Giveaway Details Ends 7/6/18 Open only to those who can legally enter, receive and use money sent via Paypal or gift codes via Amazon.com. Winning Entry will be verified prior to prize being awarded. No purchase necessary. You must be 18 or older to enter or have your parent enter for you. The winner will be chosen by rafflecopter and announced here as well as emailed and will have 48 hours to respond or a new winner will be chosen. This giveaway is in no way associated with Facebook, Twitter, Rafflecopter or any other entity unless otherwise specified. The number of eligible entries received determines the odds of winning. This giveaway was organized by Kathy from I Am A Reader and sponsored by the author. VOID WHERE PROHIBITED BY LAW. Lenora Wilton has spent her life hiding behind the keys of her beloved pianoforte and the vibrancy of her younger sister, Cassie. But Lenora is ready for a change and travels to Bath to live with her Aunt Gwen and teach music at an all-girls’ boarding school. She is different in Bath—more comfortable with herself—and enjoys the freedom and independence of her new life there. When Lenora meets Aiden Asher, she finds herself attracted to him, but her unexpected feelings become more complicated when she learns that Catherine—Lenora’s newest and most troublesome student in the school—is Mr. Asher’s niece. Catherine is a difficult student, and Lenora works hard to make progress with the girl. When the chemistry between Lenora and Aiden increases, they share a passionate kiss by the River Avon, and Lenora feels it is the beginning of a new forever—until she learns that Aiden has withheld an important detail about his life that changes everything. Lenora closes her heart to him, and Aiden, caught between his obligation and his heart, must do what he can to make amends. And Lenora, after years of hiding from everyone and everything, faces a decision only she can make. I love when I can empathize with the struggles of the main character. Lenora's shyness and social awkwardness is something I experienced outside my family and close friends all the way through high school. Lenora's move to embrace a new life allows her to become more confident and I felt that going to college and leaving behind the role I felt trapped in opened up a refreshing sense of freedom to be happy with myself and all the opportunities before me. I admired Lenora's fortitude with the daunting situations and people she had to deal with. Catherine is not the typical orphan from stories like these- instead of being filled with gratitude, she is manipulative, cruel, and uncaring. I felt like it was a realistic portrayal of an abused child and it was gratifying to see her layers peeled back as Aiden doesn't give up on her, but is determined to help her in any way possible. Lenora's reactions to Catherine were realistic as well, and depicted the real struggle and sacrifice it took to be a part of her recovery and success. I loved Lenora's aunt and the compassion, nurturing, and wisdom she brought to both Lenora and Catherine's lives. The sweet and tender romance between Lenora and Aiden is worth fighting for, and I was filled with tension and anticipation until Lenora reached her happily ever after. 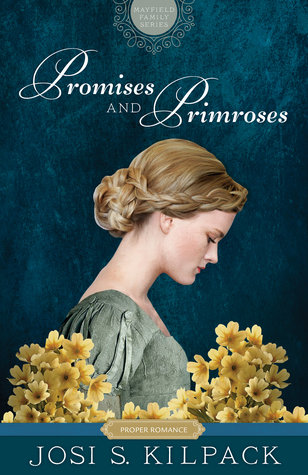 12 Days of Clean Romance: Author Josi S. Kilpack & Giveaway! When Harriet Beecher marries Calvin Stowe on January 6, 1836, she is sure her future will be filled romance, eventually a family, and continued opportunities to develop as a writer. Her husband Calvin is completely supportive and said she must be a literary woman. Harriet’s sister, Catharine, worries she will lose her identity in marriage, but she is determined to preserve her independent spirit. Deeply religious, she strongly believes God has called her to fulfill the roles of wife and writer and will help her accomplish everything she was born to do. Two months after her wedding Harriet discovers she is pregnant just as Calvin prepares to leave for a European business trip. Alone, Harriet is overwhelmed—being a wife has been harder than she thought and being an expectant mother feels like living another woman’s life. Knowing that part of Calvin still cherishes the memory of his first wife, Harriet begins to question her place in her husband’s heart and yearns for his return; his letters are no substitute for having him home. When Calvin returns, however, nothing seems to have turned out as planned. Struggling to balance the demands of motherhood with her passion for writing and her desire to be a part of the social change in Ohio, Harriet works to build a life with her beloved Calvin despite differing temperaments and expectations. Can their love endure, especially after “I do”? Can she recapture the first blush of new love and find the true beauty in her marriage? Eliza. Thoughts of her dear friend and Calvin’s first wife brought an array of emotions. What would Eliza think of Hattie carrying Calvin’s child? A child Eliza had wanted so much and never had. Hattie usually told herself Eliza would be happy that she and Calvin found comfort together, but there were days when Hattie’s awareness that Calvin still held affection for Eliza rose like a specter. Prayer, studying the Bible, and remembering the assurance she’d felt of God’s approval would usually silence her guilt, but today the fears roiled inside her like the churning wheels of an undertaker’s carriage. 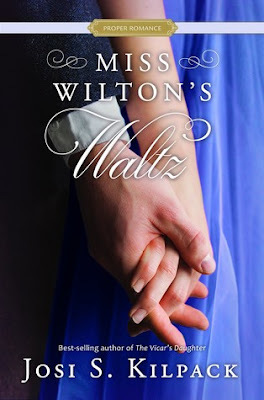 Had Eliza lived, Hattie would be teaching, writing—unmarried and unpregnant. Had Eliza lived, Calvin would only be the husband of Hattie’s friend, and he would enjoy dinner on the table every night, and pressed pants and clean shirts in the closet every morning. Perhaps Eliza would have given him a child by now. When headaches laid him low, Eliza would tend to him without a thought for herself. Would Calvin be happier if Eliza had been the only Mrs. Calvin Stowe? Would Hattie? Was Catharine right? Had Hattie entered a phase that would lead to the demise of being her own person? Anxiety wrapped around her until she found herself sobbing at the splintery kitchen table. Eliza. Eliza. Eliza. Calvin. Calvin. Calvin. Was she living the wrong woman’s life? Josi S. Kilpack hated to read until her mother handed her a copy of The Witch of Blackbird Pond when she was 13. From that day forward, she read everything she could get her hands on and credits her writing “education” to the many novels she has “studied” since then. She began writing her first novel in 1998 and has written twenty-five novels, one cookbook, and been part of multiple collaborations since then. She is a four-time Whitney Award winner and Best of State winner in Fiction. Josi currently lives in Willard, Utah, with her husband and children. When Kensington Press picked up her first national women's fiction novel, As Wide as the Sky, Josi was in need of a pen name to differentiate between her other genres. For years, Josi has been called Jessica Pack by people who hear her name but don't know her, it made her new pen name easy to choose. As Wide as the Sky will be released in paperback sometime in 2018.